A leap of faith is exactly how Carrie and Bob began their newlywed life together. In the early ’90s, the couple packed up their Charlotte home, reduced their belongings to one suitcase each, and traveled to Uganda to work for Habitat for Humanity International. The organization’s mission to construct simple, decent, and affordable houses for families in need clicked with the Wagners’ convictions regarding human rights, social justice, and Christian faith. During their first meeting with HFHI, they were surprised to learn the group required a three-year commitment for work abroad. “We felt pretty noble when we told Habitat we would commit a year,” Carrie says with a laugh, “but it turned out there were no short-term commitments. It was three years or not at all.” They were silent on the drive home from the interview, contemplating what the pledge would mean for their lives. But as they passed under a bridge, they noticed graffiti that read “Trust Jesus.” They took the words as a sign, and sealed their commitment to a three-year term abroad. The Wagners quickly discovered that putting faith into action was more than building homes. It required embracing the diversity of another culture. Simple things such as holding hands while taking a walk were given up. The Bakonzo believed the show of affection was not meant for public display. Privacy was unheard of: Children peered through the windows of the couple’s small brick home, watching as Carrie swept or cooked. She recalls becoming so frustrated with onlookers one day that she started dancing and shrieking to frighten them away. But that didn’t stop her curious neighbors from peeking in. As Carrie began to document her life with photos, the Bakonzo shied away from the camera. She learned the elders believed taking a picture of a person was the equivalent of stealing their soul. In a move of generosity, Carrie put her camera away for a year. “When I took it back out again, it was different. We were family then,” she says. “In the end, the pictures were even more real because they trusted me and were open with me and my camera.” She didn’t know then what a large role the images would later play in her life. Participating in the hospitality of a people with so little to share was part of immersion. Questions about life invaded Carrie’s thinking. Why were these people so poor when others were so wealthy? In a community where almost everything was reused, and even empty cereal boxes were turned into toys, she was forced to examine her own wealth. When the Wagners left Ibanda in January 1994, the landscape was dotted with Habitat houses, but the real work had occurred in their hearts. Back in the States, Carrie and Bob continued to work for HFHI at the headquarters in Americus, Georgia, where their two boys were born. Carrie served as the international training director, focusing her efforts on preparing volunteers for life abroad. In 2000, they returned to Africa with the boys, just two years old and seven months, this time to work in South Africa where Bob was the program director for HFHI. Three years later, it was time to come home again, and the Wagners moved to Asheville to be near family in North Carolina. For the former expats, life appeared to have returned to normal. But as Carrie describes it, the transition left her feeling as if she didn’t fit in, and her mind returned to the place of her transformation. 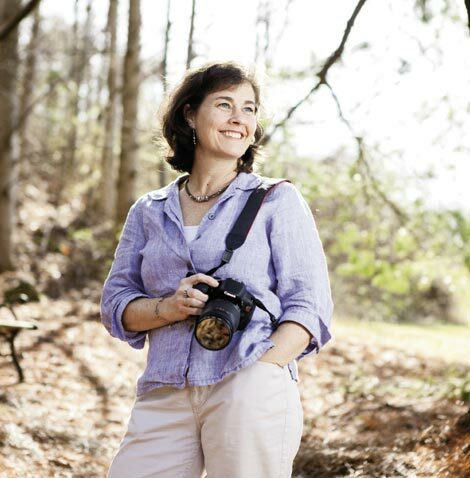 Images of Uganda remained fresh in her mind, so she organized a photography exhibit titled “Portraits of Uganda” at the Asheville Area Arts Council. The collection of photographs and journal entries spurred her to write Village Wisdom, Immersed in Uganda, Inspired by Job, Changed for Life, which further highlights the contrast of poverty and cultural richness among the Bakonzo, including their host, a man named Job. Within the book she shares many epiphanies, among them the belief that luxury is maintaining a life of just enough, rather than more. Being able to feed and cloth your family is a luxury in comparison with our Western definition, which often leads us to be consumed and anchored by excess. To share these lessons, she created Village Wisdom Global Education Kits to be used in K-12 classrooms. The kits include handmade books from Ugandan students, a Village Wisdom book and study guide, and two instructional documentary videos—one for teachers and the other for students. The curriculum allows teachers to incorporate music, art, geography, communication skills, world history, journalism, and civics into cultural exchange projects. And Carrie often backs up the lessons by serving as a guest lecturer in classrooms through the N.C. Arts Council roster of teaching artists. Her work is timely as the North Carolina State Board of Education is leading a task force to discuss how to make global education more pertinent and vibrant. For nine months, Carrie and her family will live what she teaches, spending several hours a day learning Spanish and navigating a new way of life in Peru and Ecuador. Meanwhile, Carrie has stopped worrying that the world might forget her. On the family travel blog, www.gogivelearn.com, which all four Wagners update, she writes, “We go to bed at night exhausted yet fulfilled by a day of great experiences and learning,” all of which Carrie will surely share when she returns.